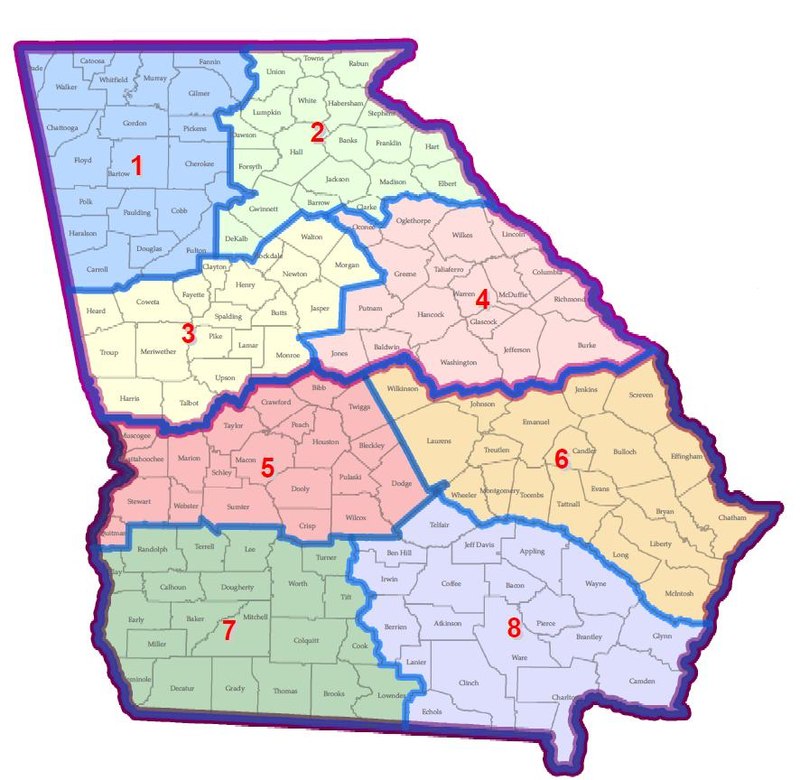 The GMCA membership is composed of approximately 50 cities and 39 counties throughout the State of Georgia. Eight board members are elected to represent the membership. Their districts are shown below. Click here to find your regional director.